Buy the three volume video set and save money. Mastering Men's Gymnastics: Beginning Skills and Progressions video. This comprehensive video encompasses all aspects of beginning gymnastics for boys and men. Topics covered include: techniques and progressions for floor exercise, pommel horse, still rings, vault, parallel bars and the horizontal bar. Mastering Men's Gymnastics: Intermediate Skills and Progressions video. 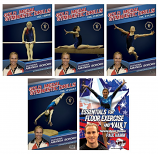 This comprehensive video encompasses all aspects of gymnastic training at the intermediate level. The video helps gymnasts develop beyond the beginning compulsory skills to build routines through the rules of the FIG (International Gymnastics Federation) Code of Points. Topics covered include: techniques and progressions for floor exercise, pommel horse, still rings, vault, parallel bars and the horizontal bar. Mastering Men's Gymnastics: Advanced Skills and Progressions video. This comprehensive video encompasses all aspects of advanced men s gymnastics. Topics covered include: techniques and progressions for floor exercise, pommel horse, still rings, vault, parallel bars and the horizontal bar. Three-time NCAA Coach of the Year, Mark Williams, presents the essential elements that are necessary to perfect the more difficult skills in all six events. 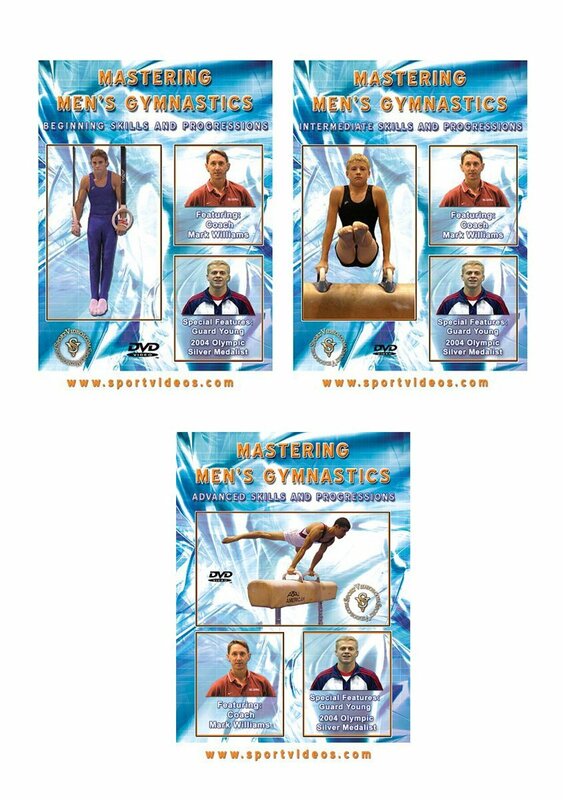 This program was designed to help coaches guide elite gymnasts to the highest levels of success in each event. The Special Features section includes tips and routines by 2004 Olympic Silver Medalist Guard Young. About the Coach: University of Oklahoma Head Coach Mark Williams is one of the most respected gymnastics authorities in the United States. He has positioned the program as a national contender every year with an overall mark of 296-27 (.916) in 13 seasons. In addition to the five national titles, the Sooners have recorded four national runner-up finishes under Williams and other gaudy numbers that include 22 individual national champions, 126 All-America honors, nine conference team championship and 37 individual conference titles. In his 29 years as a professional gymnastics coach, Williams has guided gymnasts to the Olympic, World Championship, Pan American Games and University Games teams. He has also coached numerous senior and junior U.S. national team member.